Food allergies have gained significantly more publicity in the past decade, it seems. 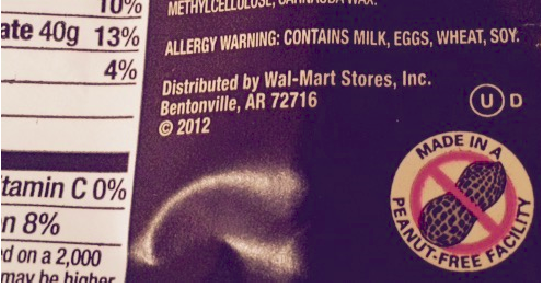 Food manufacturers have become more aware of food allergies in their labeling practices and since the Food Allergen Labeling and Consumer Protection Act, which requires ingredient labels to mention any top allergens present in the food, was passed the United States in 2006. Food allergies are nothing new, however. Before all of the publicity, legislature, and support for food allergic individuals became readily available and accessible, these people had to get by somehow. My great-grandmother was born in 1906 and she had a severe mango allergy. Her allergy did not cause her too much trouble as she was growing up in Iowa. However, when she moved to Central America and had a mango tree in her front yard, she had to be more cautious. Being more vigilant was no easy task in a time when not many people had heard of food allergies, and those that did know about them did not understand them very well. 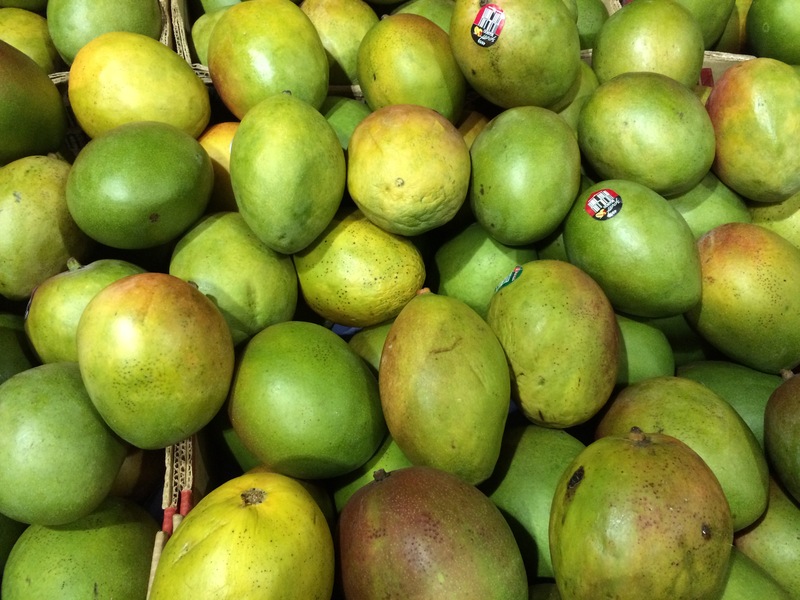 My great-grandmother knew that if she touched the outside peel of a mango, a rash would appear on her hand. One time, my grandmother left her purse, which she had been carrying after eating a mango at school, astray, and my great-grandmother picked it up to move it. After touching the purse, though, her hand had the same rash. The great-grandmother’s attempt to eat a mango seems absurd to food allergic people today, but in that time in made perfect sense since she did not fully understand her allergy. I wonder now how many people throughout history whose deaths or illnesses were credited to imbalances of the bodily humors or tendencies to become weak or ill actually had food allergies. In past few years, I have come across a few companies that offer baking chips that we food allergic people can actually use. 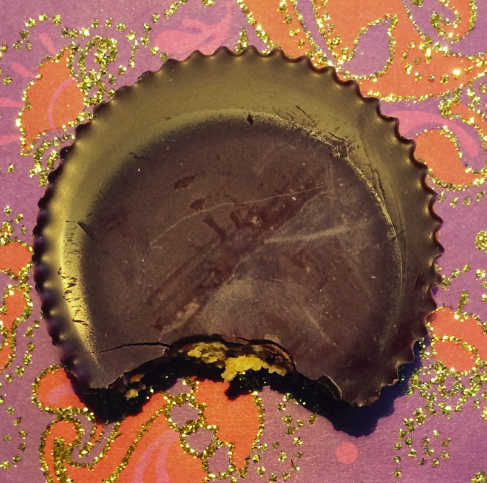 Companies like Vermont Nut Free Chocolates (tree nut and peanut free) and Guittard Chocolate Company (peanut and gluten free) make butterscotch, dark chocolate, semi-sweet chocolate, white chocolate, among other flavors of chips. They can be used to make chocolate chip cookies, but here is another recipe in case you’re looking for some variety. 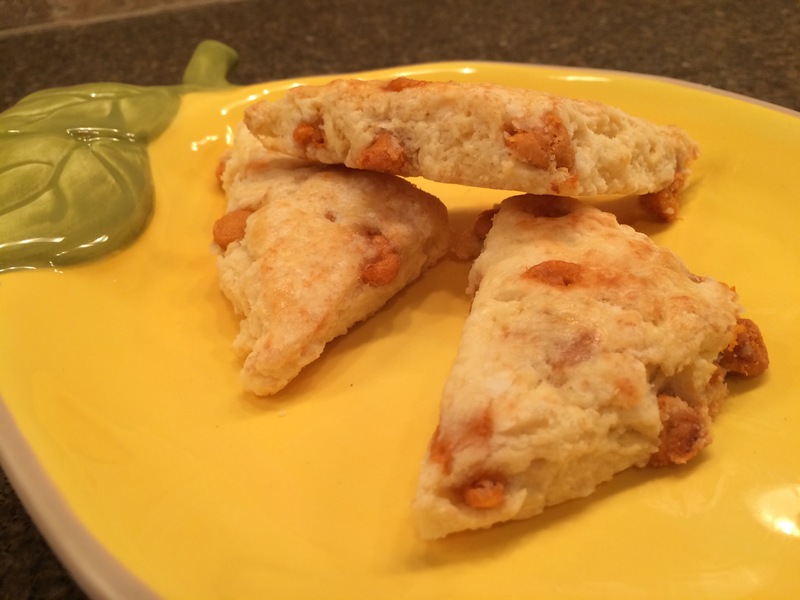 This recipe is adapted from the Susie Peck’s ‘Pewter Rose Butterscotch Scones’ recipe as told to reporter Jennifer Lover. PREHEAT oven to 375 degrees. COMBINE flour, sugar, baking soda, and salt in a large bowl. BEAT egg lightly in a measuring cup with ounce markings and add milk to 6 ounces. GRATE butter using a coarse grater into the flour mixture and toss with a fork until combined. Add beaten egg and milk, reserving 1 tablespoon of the liquid. STIR gently to combine. Add butterscotch chips and stir carefully working the dough as little as possible. TURN dough out onto a very lightly floured surface and fold it a few times (about 6, the heat of your hands can melt the butter). Using a floured rolling pin, roll dough to about 1 inch thick. Cut into 2-inch triangles. TRANSFER scones to an ungreased cookie sheet lined with parchment paper and brush tops with reserved milk mixture. BAKE until lightly browned, about 10-12 minutes. Serve warm. Today is the 25th anniversary of the signing of the Americans with Disabilities Act (ADA). The act helps eliminate discrimination so that everyone can have a chance to lead an independent life without being excluded and is meant to give equal opportunities to everyone. Why am I bringing this up here? Because according to FARE (Food Allergy Research & Education), food allergies may be considered a disability under federal laws such as the ADA. It covers those with physical or mental issues that affect one or more of the body’s systems. Food allergies are included in the term ‘disability’ because they can affect the respiratory, digestive, or circulatory systems. The ADA and other federal laws require public and private schools to accomodate children with food allergies so that they can receive an education while staying alive. The ADA makes the lives of so many people, including mine, much easier! So Yay ADA!! Whether it’s a dinner party, birthday party, graduation party, summer pool party, wedding reception, etc., it is extremely important to consider your food allergies and plan ahead. Here are a few steps to follow to stay safe in social situations. 1) Find out from the host/hostess what kind of food will be served and notify them of your food allergies. Ask if it is a catered event, and if it is, ask for the name of the catering company and call them to discuss your food allergies prior to the event. If it is a potluck, then plan to bring a dish that you know you can eat, and try to keep it separate from foods people have brought that contain your allergen. 2) No matter what kind of food will be served, eat a little food before the event so that if you cannot eat anything there you will not be hungry. Also pack some snacks of your own, or even a whole meal to eat during the party. 3) This one goes without saying, but you always need to bring your epinephrine. I usually put mine in my purse (which has a button on the outside that says “Epinephrine inside!”). Once you arrive at the party, you have two options. You can carry your purse/bag with you epinephrine the whole time. This is easy if you have a small cross body purse. You could also find a safe spot that is out of reach from a dog or small child and away from water if you are at the pool, but also easy for other people to find in case of an emergency. 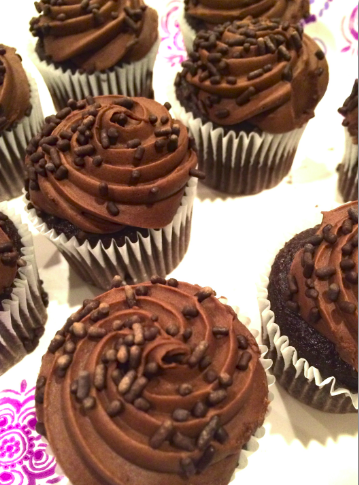 4) Make sure that there are people at the event who know about your food allergies. Tell them where your epinephrine is and how to use it, and instruct them to call 911 immediately if you have a reaction. The more you try to hide your allergy, the more awkward it will be. Be honest and don’t let anyone make you feel unsafe or left out because of your allergies. Explain why you aren’t eating the same food as everyone else- they will probably find it interesting more than anything else! I had my first PBJ yesterday. Well, it wasn’t really a PBJ- it was actually a sunbutter and jelly sandwich. I made sure to explain this to my friends so they were not alarmed to find me eating something that looks like peanut butter. Sunbutter is the closest thing to peanut butter that I can eat without having a severe reaction. Sunbutter is made with sunflower seeds, which I can eat. (Sunflower seeds are not tree nuts.) It makes a nice substitute for peanut butter. Try it on ice cream, crackers, sandwiches, celery, apples… anything, really. 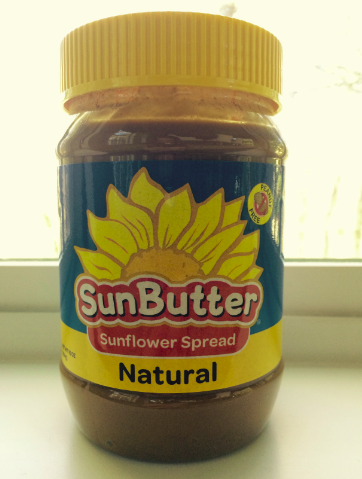 Made with sunflower seeds, sunbutter is peanut butter without the peanuts. 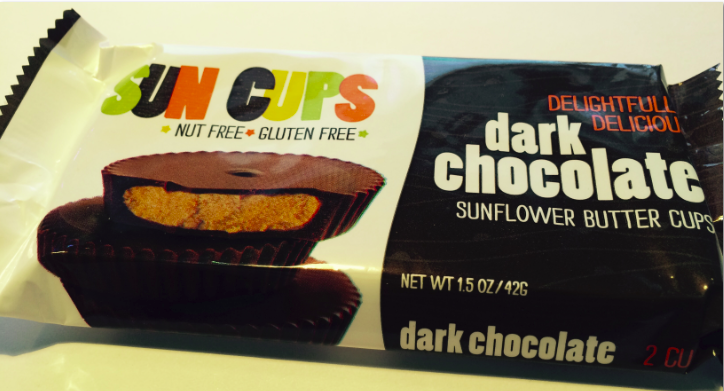 I love sunbutter paired with chocolate, so I was excited to try Sun Cups. Made without gluten, peanuts, tree nuts, corn, or soy in a nut and gluten-free facility, they are the Reese’s for allergy kids. The claim on the package, “delightfully delicious”, is most certainly true! First of all, a massive thank you to Mrs. Reulbach for introducing me to the blogging world! I’ve certainly thought about starting a blog, but I don’t think I ever would have been successful without learning all the particulars. I am definitely obsessed with blogging now. 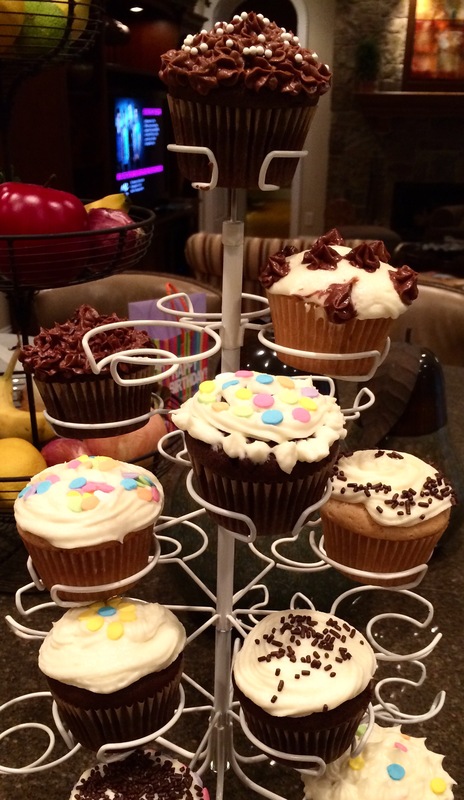 These cupcakes from Walmart are delicious! Always happy to see this kind of allergy warning on chocolate.